"The Perfect Fit For Me"
When we lose the ability to formulate words, we can feel as though we have lost a connection with the rest of humanity. St. Ambrose University's Master of Speech-Language Pathology (MSLP) program seeks to mitigate that loss. Founded in 2009, the MSLP program is dedicated to assisting people for whom the ability to communicate has been lost or impaired. SAU Associate Professor Darci Becker, PhD, is one of the program's founding faculty members as well as a passionate and dedicated practitioner. Working part-time at Genesis Medical Center in Davenport, Becker specializes in the care of patients with acquired cognitive and language disorders, motor speech disorders, dysphagia, and voice and resonance disorders. She works primarily with older patients with impaired speech and language function as the result of diagnoses such as stroke, dementia, and traumatic head injuries. "Growing up, I had a tremendous relationship with my grandparents," Becker said, "so I gravitated toward that population." Becker's approach to speech-language pathology is a hybrid of practical, real-world experience, teaching, and clinical applications. She spends most of her work week teaching, but also spends one day a week at Genesis, working directly with patients with speech, language, communication, and swallowing issues. In a truly remarkable manner, she has brought the classroom to the clinic and the clinic to the classroom. Her students and patients share equally in the result. "My teaching is so intricately woven in with my daily practice," Becker said. "I constantly find myself talking about something in class and then sitting down with a patient who fits perfectly with what I said in class." Not only does that combination allow Becker to meld class and clinic, but it also allows her to instill in her students something greater. "What I try to do as much as anything is to make the student more empathetic and sympathetic," Becker said. "I try to put them in the shoes of the patient and help them understand what it means to lose the ability to communicate." 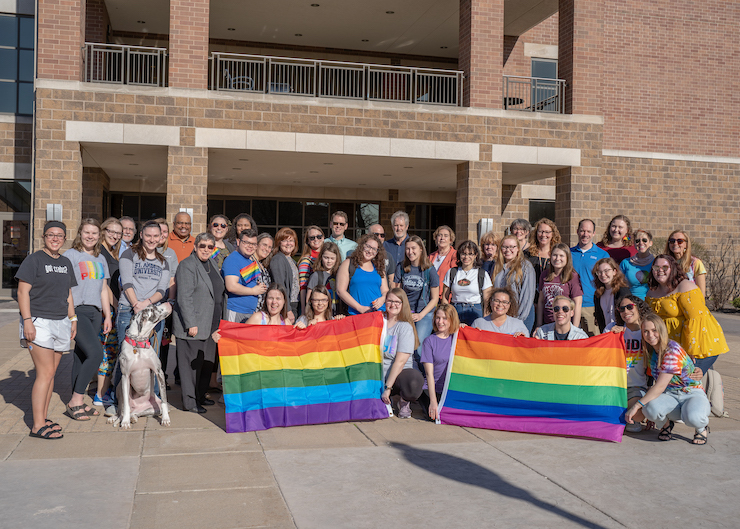 That empathy extends to the St. Ambrose University Rite Care Clinic, an on-campus speech-language pathology clinic directly associated with the MSLP program. Funded, in part, by the Iowa Scottish Rite Masonic Foundation, the Rite Care Clinic fills a gap for patients who have needs beyond those covered by insurance. "It's always packed with a waiting list and, thanks to the support of Scottish Rite and St. Ambrose University, there is no charge for services," Becker said. Becker credits the fundamental culture of St. Ambrose with creating an environment in which she thrives. "I love what I do," Becker said. "If all I wanted to do was high-end research, I'd be somewhere else. 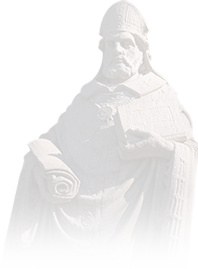 St. Ambrose values teaching, scholarship and service. This is the perfect fit for me. I am encouraged to serve, I am encouraged to remain clinically active and I am encouraged to share all of it in the classroom with my students. I really have the best of three worlds."